A Jewish writer in 1850s Paris returns to the Yiddish-speaking French village where he grew up, and writes lovingly about local Jewish life, personalities, customs and legends. Meet Salomon and Yedele and their loved ones. Share their joys, foods, courtships, religious observances and holiday celebrations. Hear Alsatian storytellers spin tales of ghosts and sorcery, and of "wonder rabbis" who could banish demons and lift curses. Daniel Stauben was the pen name of Auguste Widal. His nostalgic fiction, written in French, first appeared in the Jewish magazine Archives Israélites in 1849 and was later published in the Revue des deux mondes and as an 1860 book. This new English translation restores the Yiddishisms and Jewish vocabulary that the author deleted when revising the stories for a non-Jewish audience. 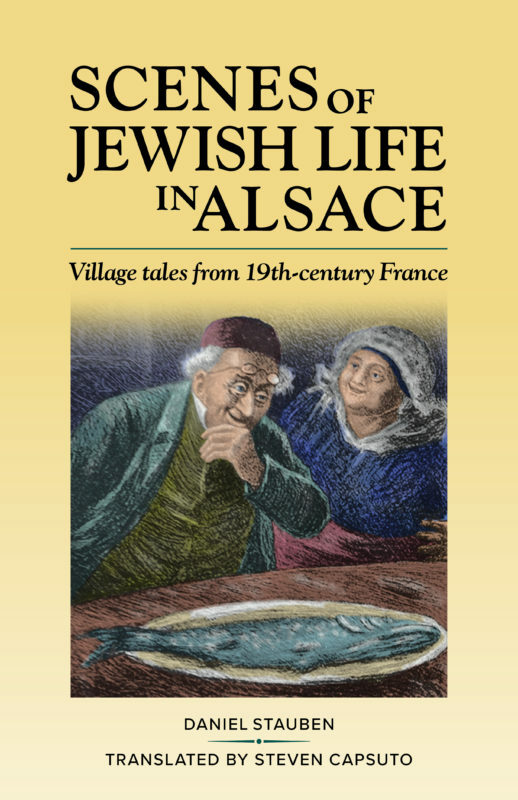 This edition also adds illustrations by Alphonse Lévy, a 19th-century Alsatian Jewish artist whose drawings and etchings mesh perfectly with these charming stories.